Today's Office. Great day as Saracens' set a world-record attendance of 83,889 for a rugby union club game during the Aviva Premiership Rugby fixture against Harlequins at Wembley Stadium. I hadn't realised how much I had missed shooting rugby union. Saracens' George Kruis rides a challenge from Quins' Nick Kennedy on his way to scoring the second try. Saracens went on to win the match 39-17. 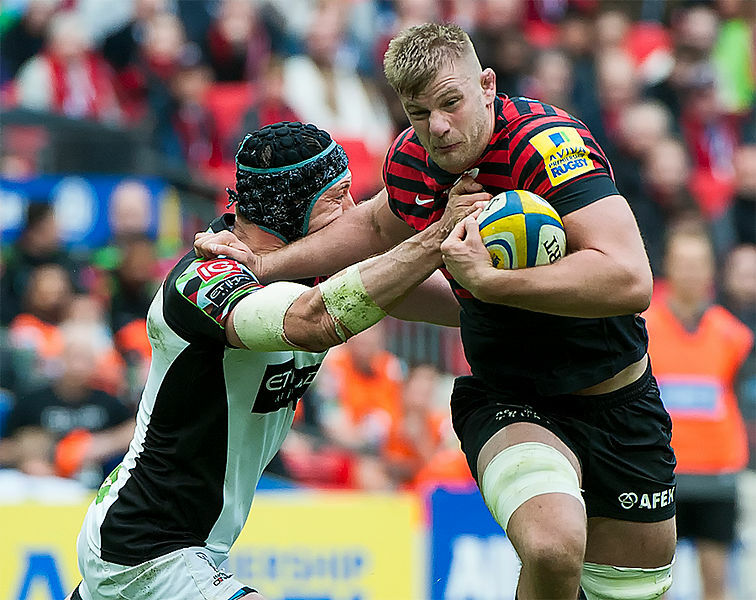 Saracens' George Kruis rides a challenge from Quins' Nick Kennedy on his way to scoring the second try.